No-No Boy was searingly wrong for its time: in 1956 John Okada wrote a novel about a Japanese American man who went to prison instead of fighting for a country that had sent his family to an internment camp. It was a time when white readers weren't ready to read the truth, and when Japanese-Americans were trying to move on. This novel was just reprinted last year by U Washington Press, with a foreword by Ruth Ozeki--it's worth getting a copy of the new edition just to read her essay about Okada and about the immediate post-WWII realities of Japanese American life. As Ozeki writes in her foreword, Ichiro's "obsessive, tormented" voice subverts Japanese postwar "model-minority" stereotypes, showing a fractured community and one man's "threnody of guilt, rage, and blame as he tries to negotiate his reentry into a shattered world." I was expecting something polemical and discovered something far more subtle. The characters are complicated in interesting ways. I expected Ichiro, the titular No No Boy, to be righteous, a conscientious objector, to have a strong and (from my vantage point of 2015) completely defensible reason for refusing to swear loyalty to the United States or to enlist in the US armed forces when at the same time his people were being shipped off to internment camps. Not at all. The novel is simply told, but never simple. Instead, the protagonist, Ichiro, is full of shame and self-doubt about his decision to refuse to swear a loyalty oath to the U.S. He wishes he could change his mind and take back the last two years, not because he spent them in prison, but because now he doesn't know who he is any longer. He envies friends who have come home wounded from the war; he even envies the war dead, even though their sacrifices have not given their families any more acceptance, and have not shielded them from race hatred at home. Along with Ichiro, Okada introduces a host of other characters who each reflect a reasonable response to the prejudice and hardships faced by Japanese Americans in the 50's. One of my many favorites is Ichiro's mother, an unabashed Japanese nationalist, a woman who thinks any news about Japanese defeat must be U.S. war propaganda, and who rejects even the letters from her own family members in Japan as false. Okada's writing has a hard-boiled feel that reminded me of From Here to Eternity by James Jones, which was published just a few years prior to No No Boy. The themes of the novel anticipate the turmoil of the Viet Nam war to follow, when men of a certain age found themselves divided into those who fought, and those who fought the draft. The novel should be read more widely not only as literature but as a fictional testament to the era in which it was written. Un libro muy importante por al menos dos razones:1) la meticulosa descripción de la experiencia de un emigrante japonés de segunda generación en los Estados Unidos, en una época en la que su ambivalencia hacia su identidad nacional, cultural y familiar sale a la luz de forma dolorosa gracias a la IIª Guerra Mundial, y2) que es un relato escrito por un japonés-americano (perdónenme el término) que trata en parte sobre los campos de internamiento en los que los japoneses que vivían en suelo americano y se negaban a luchar por los EE. UU. fueron encerrados durante la guerra. Pero es sobre todo un relato de la época de postguerra: el racismo y humillación que sufrió esta minoría, la manera en la que intentaron asentarse en la sociedad o cómo la rechazaron, las oportunidades a las que tenían acceso según hubiesen actuado durante la guerra, etc.El estilo a veces se vuelve burdo, y tal vez las reflexiones del protagonista van muy paso a paso. Pero en mi opinión el tema y la historia elevan el libro por encima de sus defectos. Read it for a thesis committee I'm on and grateful for the opportunity to be introduced to a one-time novelist who died much too young (47) but if one were to write one novel, this would be it. The setting is a post-WWII America most white Americans don't know about--the complex and conflicted positioning of Japanese Americans after Pearl Harbor. Okada builds a West Coast world of nightclubs, dire poverty, and urban grittiness to explore how Japanese Americans can or cannot ever be American. The trauma inflicted on the different characters is immense from Ichiro the main character's who is co-erced by his mother to say no to being drafted to fight in WW2 and spends two years in prison to his friend Kenjii who has lost a leg fighting that continues to hurt to his friend Emi whose husband has been in Europe since the war ended not wanting to return. Okada, himself a war vet, nuances the differing attitudes and emotions that Ichiro's position as a no-no boy conjures up among strangers and friends. The novel's power lies in Ikiro's ability to evaluate and draw from these encounters so that he can begin to process what has happened to him as an American and why and to move beyond self-hatred and blame to some kind of forgiveness not only toward himself but toward the racist nation that put him in a double bind, a lose-lose situation. Okada writes fiercely and passionately, making his characters and settings memorable. His exploration of the tenuous relationship that many othered Americans have with the US concerning citizenship are still so relevant today in post-9/11 America. I read this book while doing “ground-support” for a tree-sit. That means, I was basically sitting under some trees that people were living in (to stop logging) in case they needed help from the ground. Reading this book was the first time I saw my citizenship and the privileges they come with it as unnatural. I had never really thought about them before. But here I was with folks engaging in an action that depended upon our citizenship being recognized and respected. It may very well have been at that moment that I committed to return to graduate school and think more about these issues, because I clearly didn’t know enough.This book was written by a WWII veteran and deals sympathetically with the story of a No-No Boy, an interned Japanese American who refused to be drafted out of the internment camps into World War II. The book engages the relationship among physical, sexual, and emotional wounds of war and racism. Ironically I'm writing this review as I'm listening to Trump give a speech after tweeting about targeting Mexicans for shipment to deportation camps. This is a story that educates me about a community I knew little about. At the same time it provided a story I cared about and a writing style that puts your mind in the world created. Similar to knowing the steps of a dance to the point you don't have to think about them. It just flows. No-No Boy is a novel by John Okada. Okada is a Seattle-ite who wrote one novel and died at the age of 47. He couldn’t find publication for it in America, but it was published by Charles Tuttle in Japan. I think this must mostly have to do with the content of the novel about a young second generation Japanese American named Ichiro who refused to sign a loyalty oath and refused to join the armed forces; hence “no” twice. I think publishers were reluctant to publish it since it highlights one of America’s more embarrassing and inhumane moments. I was surprised on how well-written it was: It was the sort of morning that non-Seattleites are always ascribing to Seattle-wet without being really wet and the whole city enveloped in a kind of dull, grayish fog. The rain was there, a finely speckled spray which one felt against the skin of one’s face and which clung to water-resistant garments like dew on a leaf. The temperature was around forty and the clammy chill of the air seeped through the outercoats and past the undergarments and sucked the warmth from the very skin.I also found his descriptions of post war Seattle and Chinatown fascinating. It was like taking a trip back in time. His characters were well-drawn represented the chagrin and bitterness, and refusal to accept Japan’s defeat that many Japanese Americans must have felt after having been put in internment camps. He was able to capture the confusion and rebellions of people brought up in American by distinctly Japanese parents-they were caught between two worlds. Okada himself served in the war giving propaganda announcements in Japanese. Apparently he had a second manuscript that was left behind when he died, but his wife tired to donate it to the Japanese American Research Project at UCLA and they refused his papers, so she burned them. This novel was republished by the University of Washington Press in 1978. It feels more authentic than another Seattle-ite’s novel about Japanese American racism, Snow Falling On Cedars. The late John Okada was a man ahead of his time. In the 1950's he crisply defined the pivotal struggle of 2013. Government policy mistakenly adopted the passions of the majority during WW2 in it's treatment of Japanese Americans, and the American political process is still in need of reform. UCLA's internalized racism was responsible for the destruction of his subsequent book, and violence against the working class remains endemic in American institutions of higher education. Today, good people do their best working within these Halls and this Nation, right alongside those impassioned and privileged who enjoy zero accountability. Okada san won't allow us to look away from the Good Small - just as he forces huge patterns of destruction into the light of day. Stark yet vividly human, this is an intense book. It's insight into people seems particularly fair in scope at the same time that it presents a highly rooted perspective. I really wish this author had a chance to write more. It would have been well worth reading. No-no boys refer to the Japanese American men and Japanese Nationals who answered "no" to two specific questions on a survey conducted by the US government while they were interned in camps during WWII.1. Are you willing to serve in the armed forces of the United States on combat duty wherever ordered?2. Will you swear unqualified allegiance to the United States of America and faithfully defend the United States from any or all attack by foreign or domestic forces, and forswear any form of allegiance or obedience to the Japanese emperor, to any other foreign government, power or organization?It's important to understand the context surrounding the two questions from the questionnaire. The Japanese immigrants and Japanese born American children on the West Coast were forced to live in internment camps on the sole basis of our nation's outright racism toward the Japanese after the bombing on Pearl Harbor. When our military instituted the draft and additional troops were in demand, our government decided that the formerly untrustworthy Japanese Americans men could be asked to serve for their nation. Those interned Japanese Americans who answered NO to question #1 did so because of the blatant disrespect and humiliation they and their families received with FDR's Executive Order 9066.Also, many answered no to the first question because they thought answering yes was the same agreeing to the draft.The second question posed even more contempt and confusion from the camps. By agreeing to swear allegiance to the US, the government was basically implying that the Japanese Americans were formerly swearing allegiance to Japan. Notwithstanding the fact that most of these second-generation Japanese Americans had never even set foot in Japan. In addition, in 1946, Asians immigrants were not permitted to apply for citizenship or obtain citizenship b/c of our country's discriminatory policies. To ask the Isseis (first generation Japanese immigrants) to foreswear allegiance to Japan meant that they would become "men without a country".Those who answered no to both questions were later known as "no-no boys". Because they answered NO to both questions, they were either sent to higher security internment camps or were imprisoned in jail with criminals. And after the war, many of them were looked down upon and in some cases, even resented within their own Japanese American community.John Okada gives a human voice to the untold story of one of these no-no boys.Considering this is one of the very first Asian American novels ever to be published, it should also be considered an important mildstone in contemporary American literature. Wow. This book took an effort -- not because it dragged on or anything, but because it's one of the most intensely introspective and observant books I've ever encountered. I can very clearly see why No-No Boy was unpopular in the AsAm community when it was first published -- John Okada specifically and unflinchingly addresses topics that are almost invariably uncomfortable for AsAm readers (myself included) to pick through. The byproducts of the model minority myth. The generation gap. Immigrant self-preservation. Anti-black prejudice. Self-hate. The constant need to prove ourselves American and "not the enemy." Many of the things we AsAms are intimately familiar with, and yet are almost never adequately addressed in the mainstream texts and discourse of American history and race relations. In a nutshell, no-no boy Ichiro Yamada's brooding, raging introspection rolls all of this into one tumultuous account of the fallout from the internment, at times self-hating, at other times confused, and at all times cynical in the way that only a postwar man in his twenties could be. Veteran Kenji Kanno takes over a portion of the novel as a sorrowful characterization of the lives of Nisei and the crushing disconnect between 2nd-generation AsAm children and their parents. Despite Kenji's mellow and resigned manner, both men have visibly suffered (physically, socially, sexually, mentally) at the hands of the injustice of the internment, their identity crises, and the hatred and isolation from other Japanese American men.Okada dissects the things AsAms felt we had to historically do and still feel that we have to do (to ourselves, to our AsAm parents and brothers and sisters and friends, even to other PoC) in order to give up parts of our precious cultures and assimilate, even while the ugly perpetual foreigner stereotypes continue to carve and brand themselves onto our (very American) souls. It's not a pretty picture at all, but Okada doesn't try to make it one. That's exactly what makes this novel so powerful. Do you think your life is bad? Try being unaccepted and given a hard time and being put into a camp for two years. Would you fight against your own people if you immigrated from there? What would you do? The main character is Ichiro Yamada who just got out of two years of an internment camp and two in prison. He struggles with discrimination and being accepted into the community because he is a Jap. He lives in Seattle where he did live before the war had started. WWII. He learns that there is more to life that to grieve all the time with the help of his friends Kenji and Emi. They help Ichiro realize that and they try to help him better his life up. One theme I got was life is what you make it. Ichiro is not very happy because he does not do anything to make his life happy or better. His friends are the ones who talk him into realizing there is a lot to do. I can relate with Ichiro because when I was younger that when anything bad happened I thought it would not get better but while growing up I do realize that things do get better just how you react upon them. I wanted to read the book because I thought it would be really interesting but for me it was a descent book but a little difficult to read. If you want a different perspective this is a good book to look at how Japanese may have been treated after the war. This book is not for you if you don’t like long sentences. A lot of things to say in one sentence can throw you for a loop. I would give this book two stars out of five. At the end of WWII, Japanese American Ichiro makes his way home not from the battlefield, but from prison. He's a "No-No" boy, having refused the draft in mixed protest against his family's internment during the war. But as Ichiro faces the challenges of having turned down service in a patriotic country which mistrusts his heritage in the extreme, Ichiro questions his true motivations for saying no, as well as his place in American society. As he rambles around Seattle, he meets slowly dying soldiers, no-no boys like himself, and a women left behind by a man who loves war better. These people, in concert with his own shattered and mentally ill family members, help shape Ichiro's sense of self, future, and hope for America, however fragile those sensibilities may be. This book it interesting and filled with vivid characters. That said, one thing that annoyed me about the writing style employed throughout, was that Ichiro's character frequently launches into these winding run-on sentences that go on for paragraphs and are poorly if at all punctuated. I understand that its functioning as a stream of consciousness technique, and I understand that the longer the rambles, the more momentum and emotional drama the author is attempting to build. Regardless, the technique felt forced, clumsy, and whiny to me. Indeed, it soured my perception of Ichiro more than anything else in the book. Otherwise, this was an important and interesting read. Though well written, this book didn't really keep my attention. I will admit that there were some interesting characters, but in a few years I doubt I will even remember the main character's name. There were a few interesting quotes, but overall, not my type of novel. I have mixed feelings about this book - I didn't find the plot interesting, but if you are into post-WWII novels and Japanese-American identity struggles, then this book is for you. Damn, that ending was intense. Such a sad book, truly makes you realize the pains of being a "Japanese-American" during WWII. I wish Okada had been alive longer to write more books, his voice is refreshingly honest. I read this in high school and was not mature enough to understand what it was about. I remember it was set in an internment camp during WWII and focused a lot on cultural and peer pressures. A No-No Boy, by the way, was a Japanese-American who refused to enter military service for the U.S. Powerful book about an embarrassing period of American history. The protagonist sees the King Street Station clock tower as the machine gun watch towers at an internment camp. I will never see the clock tower the same way again. this book made me sad but i loved it. “No-No Boy” by John Okada was excellent fiction grounded in real events. It is a tale about a young Japanese-American man in Seattle during World War II. At the start of the war, he is first sent with his family to a detention camp and later asked if he will serve in the U.S. Army. When he declines, he is sent to prison. The narrative picks up when the young man gets out of prison and returns to his parents’ home in Seattle.What makes this such an interesting tale is that it is written by a young Japanese-American man, but one who did serve in the army during World War II. The author remembered after the war that he had seen a friend at the detention camps who could not get his parents reunited and therefore refused to serve; the seeming injustice of prison made a mark on a young John Okada…one that he turned into this piece of fiction years later. In the story the young man, fresh out of prison, returns to Seattle and meets with many different experiences. Some people hate him for not fighting for America, some love him for remaining loyal to Japan, others whose own sons did fight for America but were killed in action have mixed feelings toward our prison returnee. All the conflict plays out in this narrative. The conundrum: If you were a Japanese immigrant (an Issei) and missing your homeland, you’d be proud of a son born in America (a Nisei) who refused (a No-No) to go and kill his brothers and nieces and uncles. On the other hand if you liked your new country and were trying to assimilate, you would be ashamed of a son who refused. Imagine the conflict for the parents left behind in the camps, and even more so for the young man trying to decide. And then imagine the conflict that son would experience when he returned from his fate, and the interplay between the two generations. This book gives a voice to all that tremulation. The tale is told from the Japanese point of view, by a Japanese-American (a Nisei) who did serve in the U.S. Army, who had been in the detention camps, and who was from Seattle. Well written and engrossing, this is a wonderful exploration of identity. It is a pity this is the only book ever published by the author. Recommended. Brilliantly written, this book reminds me of Steinbeck in that it is a very complex book in deceptively simple language. It packs a punch. I had intended to pass this book on once I finished it but found that I want to keep this one, it has importance both historically and psychologically. It was written by John Okada, a Japanese American who served in the U.S. military during WWll, but his subject matter is a young Japanese man who was two years in an internment camp as a Japanese American and then two years in prison for declining to declare loyalty to the U.S. and refusing to serve in the U.S. military. The young Japanese men who had done this were called No-No Boys. When the book opens our No-No Boy has just returned to his home town of Seattle. He immediately encounters hatred from the Japanese who served in the military, he is scorned in his community. The person who is proud of him is his mother, the person who most strongly implanted his identity as Japanese. His parents are both Japanese, living in American for many years but never intending to stay, two boys born to them in America. The younger brother hates him for what he has done and joins the U.S. military on his 18th birthday. The mother is delusional, thinks Japan has won the war and the supposed defeat of Japan is just U.S. propaganda. Ichiro, our No-No boy, knows better but his mother will not be convinced, she has become mentally ill with cognitive dissonance. Father tries to placate everyone and drinks himself senseless. Ichiro is lost, in deep identity crisis and self-hatred, problems which play out in his actions and interactions in the story. A brutal but beautiful book, important.Highly recommended. Can you imagine being Japanese and living during the Pearl Harbor bombings? No-No Boy by John Okada is about a young man, Ichiro, in his twenties trying to figure out his life after the decisions he makes on whether or not to go to war or go to prison. Throughout the book, Ichiro goes through life with his best friend, Kenji, coaching him to make the right decisions. You will take away from this book that, in life some of your decisions might seem wrong at the time but in the end they will pan out! I wanted to read this book to see the Pearl Harbor bombings from another point of view. This book is aimed at readers who enjoy history and also want to see both sides of the Pearl Harbor bombings. I quite liked this. I felt like a got some sort of glimpse into the world of Post-WWII Japanese America--to the emotions and the struggles and the triumphs. It's pretty sad, and sometimes you feel the need to slap Ichiro, but that's kind of what I loved. It didn't feel sugar coated. Dramatic, yes, but unapologetic and just a really interesting read. Would recommend. This story was real & raw. Even though it was required reading for an english class, I loved this book. I look at the world a little bit differently now, and if a book succeeds in doing that to me, it deserves 5 stars. There is hope here, but it is hard to find amidst all the darkness of racism, bigotry, fear, and alienation. I suddenly realised I am on a roll with these five-star ratings. This is the third book in a row to receive this top mark, and I admit I hesitated before I clicked on that fifth star. But I'm not grading on a curve, and The Brothers Karamazov, Translation is a Love Affair, and now No-No Boy are so starkly different from each other that I am convinced I just have very good taste in books (insert sarcasm here).But in all honesty, I really did enjoy No-No Boy from a purely personal perspective. As a Japanese-American whose grandfathers both fought in WWII, one in Italy with the 442nd and the other with the Military Intelligence Service in South-East Asia, and whose paternal relatives were sent to the relocations camps and were determined to prove themselves as good Americans, this book resonated with me in a very specific way that I will probably never find in another book. That this book is also set in the International District of Seattle, a city I know very well, made it that much closer to home. I think for those reasons alone, it qualifies as a five-star to my view. More broadly, this book is about the choices we make in relation to the communities we live in, both the immediate, smaller ones and the larger national communities. It is about coming to terms when mistakes are made on both sides, and the journey towards finding hope in the midst of despair and failure. It's about the importance of having principles for yourself and sticking to them. Okada portrays all this with bare-faced prose that balances elegantly with the poignant encounters and internal monologues of Ichiro, the protagonist, as he meets other Japanese-Americans with different or similar war experiences. 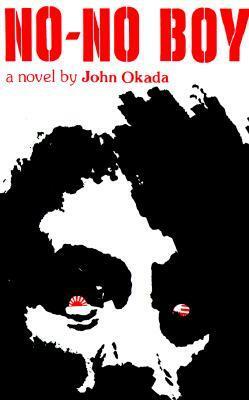 It struck me at the end of this novel that Okada had a vision about a racism-free America and that he believed that America has the potential to be prejudice-free. It's the hopeful underlying message of a book that is full of many small tragedies. This book is very loosely written. Long, long sentences which sometimes cause you to stop, take a breath, and read again for meaning. In the author's defense, he probably did not have a good editor. Despite the clumsy writing the book is very engaging. At core, it is about Japanese Americans and the confinement that most west coast Japanese endured during WWII. About 110,000 were interned in camps. (Note, Japanese Americans were not interned in Hawai'i.) Many Japanese Americans served in the US Army. The story of the 442nd Regimental Combat Team is well known. Less well known is the story of the MIS, the Military Intelligence Service, which played such an important part in the war in the Pacific.This book though is about a Japanese-American whose mother totally dominated him and retained her Japanese "otherness" to the point that she virtually forced -- through force of will and browbeating -- her son to refuse any kind of military service or loyalty statements. After his mother's death, he reflects: "He justly felt after all these years that she had been very unfair. A radio, a record player, even a stack of comic books were small enough concessions. Had she made those concessions, she might have kept her sons a part of the family. Everything, it seemed, stemmed back to her. All she had wanted from America for her sons was an education, learning and knowledge which would make them better men in Japan. To believe that she expected that such a thing was possible for her sons without their acquiring other American tastes and habits and feelings was hardly possible and, yet, that is how it was. "This book was a pioneering effort. It provides a real window into what it was like to be a Japanese American during WWII and shortly thereafter. It confronts racism in the Japanese and in white Americans. And, it deals with the age old issues of the relationship of sons to their fathers and their mothers.